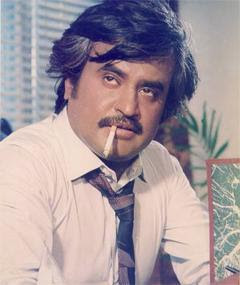 Im a diehard fan of the Superstar Rajinikanth and I wish my first blog ever is on him.Ever since ive started seeing myself moved towards Rajini,his persona,his screen presence in his movies,his Cigarette flicks and styles,Ive thought about this. 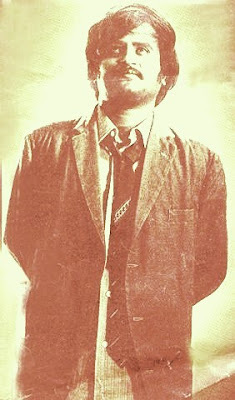 When Rajini was first launched into the tamil cinema in Apoorva Ragangal(1975) his looks and the pronunciations were not that of a conventional tamil cinema hero,yet he was able to create a path and niche for himself and emerge successful.Ofcourse a common man will be able to identify himself with his matinee idol,but Rajini has his own share of fan-following among the educated too.I can show a lot of Rajini fans in my own college.So we cant simply neglect Rajini's popularity saying that he was more popular among the people of the low strata only.Coming to his styles,he can very well be called the trendsetter of the cigarette being portrayed as an element of heroism and style.The way he walks,smilles at,speak tamil,everything he does on-screen has become styles and being imitated by a lot of young tamil heroes. Starting from Maappillai,when his paycheck reached 1 crore for the first time ever,Rajinikanth's characters in his movies were craftfully and carefully engineered by his directors,such that a commonman feels inspired by the way his thalaivar being portayed in his movies.Annamalai was a grand example of this very phenomenon.All his movies from mid 90s portrayed him this way only(chandarmukhi an exception and sivaji,Riches--rags--riches).This has a sort of impact on the minds of people as they are reminded of MGR,the man of the masses,who was portrayed in similar ways and eventually become the CM of Tamilnadu. Though he was portrayed as a youth and energetic person in his movies,Rajini never bothers to carry himself the way he is when it comes to the off-screen appearances.This Iam What Iam attitude and the bald head & unshaved beard has still got an enduring charisma among his fans.Also Rajini being the most successful One-man industry of the south-india in the past 15-20 years has never lent his voice for a single advertisement. There has been a long-running chemistry between the tamil politics & cinema.Right from the days when DMK used movies(like Parasakthi,Naadodi Mannan etc)as the party vehicle to Vijayakanth being elected as the MLA from a constituency,this chemistry has always been on a growth phase.when Rajini for the first time lent his voice during the 1996 elections it was always expected from the people's side that Rajini will enter politics but Rajini seems all disinterested over this issue. Also for all his success the humbleness with which he carries himself has also got to get a special attention here.